Fight Boredom This Fall With These NEW Toys! As winter and cold weather approaches and children are stuck inside more, children will get bored! Let me help you this Fall get prepared for lots of fun INSIDE this winter by showing you some of my favorite new toys out there! From Air Wars to Little Tikes to Georgie, your child's new best friend, I have toys that will appeal to all ages and interests! This town ain't big enough for both of us - and neither is the sky. Your older child will LOVE challenging a friend to battles that are sure to soar to new heights with these Air Wars Remote-Control Battle Drones. First, equip your drone with destructive weapons, from assault spears to attack saws, and take to the air to unleash a barrage of carnage against your opponent. Pilot your drone around your enemy's offensive maneuvers, then activate one of the pre-programmed attacks to strike when the moment's right. After you've emerged victorious, train for your next airborne fight with the multitude of beginner and advanced games. You've battled hard to rise to the top - don't get caught with your head in the clouds. Let the Battles Begin! Air Wars Battle Drones is a new type of quad copter that is built to physically strike one another. Load your weapons, launch your drone and knock your rival out of the sky. * Ready to battle right out of the box. * Engineered to withstand collisions and falls. 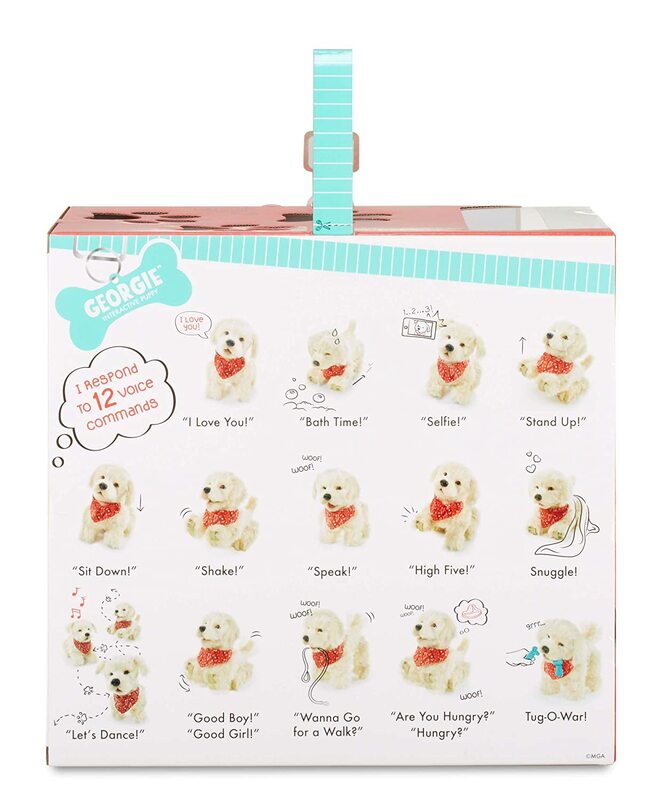 And for the little animal lover in your house, check out Georgie! No mess - just fun! It's just like a real puppy . . . . .but better! Georgie loves to cuddle, and get in trouble! He may be an electronic dog, but he is so soft to cuddle, he's just a like real puppy. Georgie is mischievous and silly, and plays tug-of-war, but when it is bedtime Georgie is ready to snuggle. Georgie loves you! 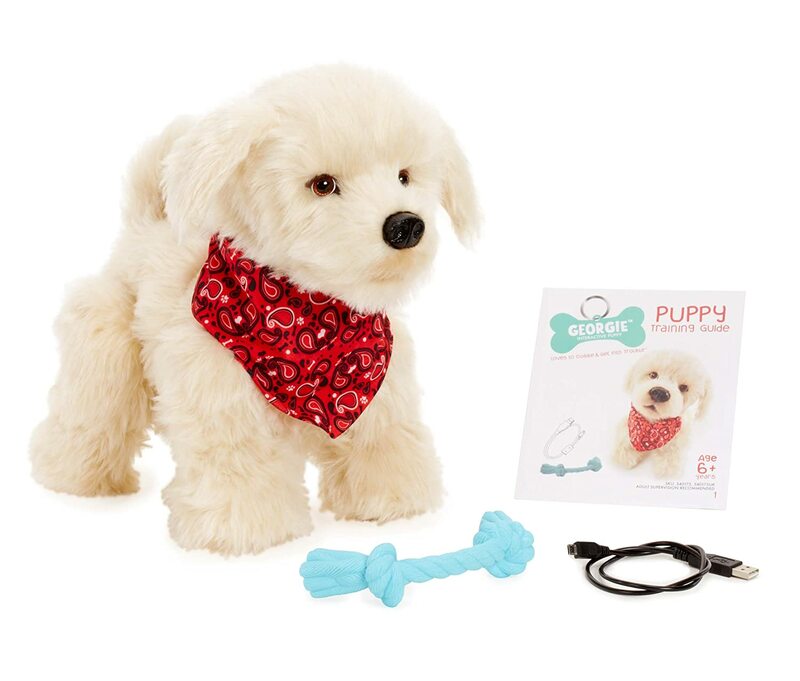 The package includes one Golden Retriever interactive puppy, rope toy, neck bandana, rechargeable battery and cord. Packaging doubles as carrier and hang tag can be repurposed as a collar and ID tag for Georgie, too! And for the baby in your life, check out this super fun Activty Garden Treehouse! Light the way to active play with the Light ‘n Go series of toys, designed to use light to inspire your baby to get moving. The Little Tikes Light 'n Go Activity Garden Treehouse is designed for babies between 6-36 months. Like a garden, it expands and grows with baby, offering three modes of play: Discover, Move, and Pretend. For Discover Mode: young babies can begin exploring the world around them, with fun activities that help baby learn about shapes, textures, lights and sounds. Younger babies can also discover colors with the unique magic lantern. Bright and colorful lights combined with fun music and sounds encourage babies to get up and move! After all, what could be more fun than a firefly dance party? For Pretend mode, toddlers are encouraged to imitate and use their imaginations. Here toddlers can create their own firefly collection by pretending to catch fireflies and then put them in the lantern. There are more than 80 fun ways to play while helping baby to grow and develop. The fun and engaging lights and sounds will help guide babies to their first reach, crawl and step. There is nothing better for a parent that a toy that grows with baby! This one does and I LOVE how easily it expands into a larger play space as your baby grows! Will last for years!